Last year just brought another hodgepodge of posts from infinity scarves, yard dice, cedar cacti planters, money boxes, cookbooks, book marks, dog biscuits, limoncello, jams, cookies, biscotti and book ideas. I have grandiose plans for 2017 as well. We will see how it goes. 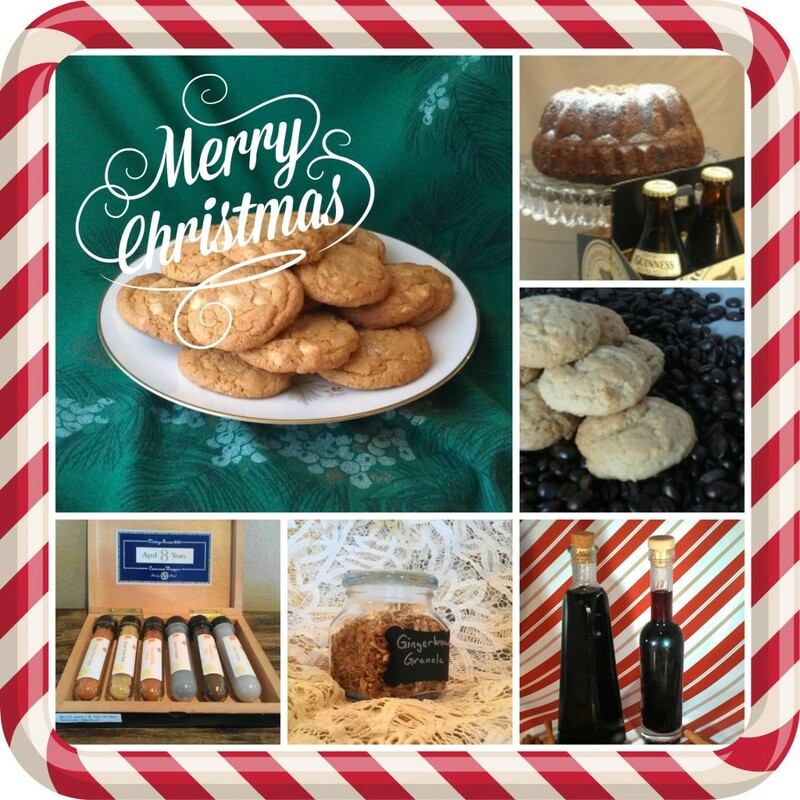 I started out with some book gift ideas and I have plans for some sweet and savory treats. So, let’s put the books back on the shelf and start with a sweet gift from the kitchen. Thinking about why you didn’t do any canning this past summer? Have I got a solution for you. 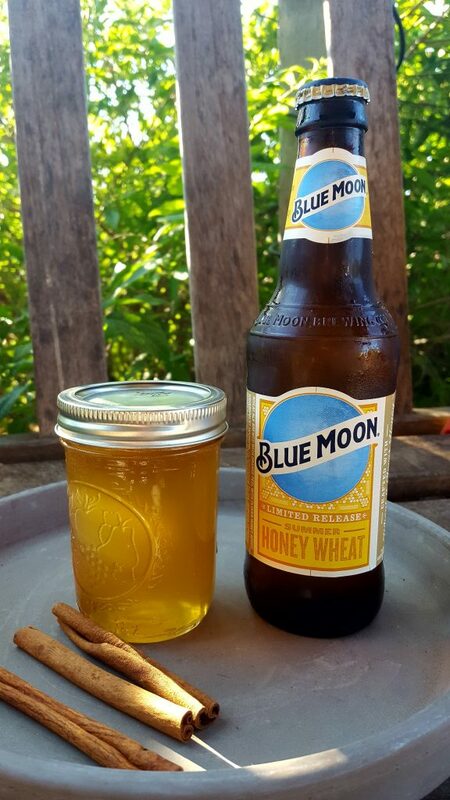 Whip up some beer jelly. 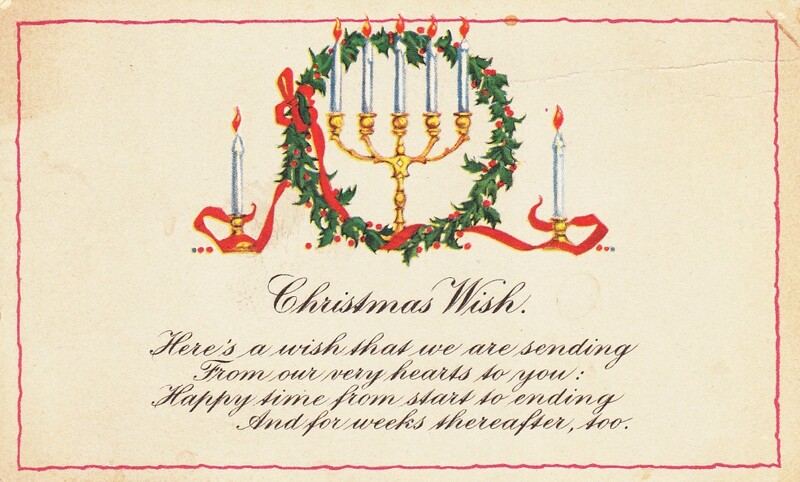 It matters not if your giftee is a beer lover or tea-totaller. I guarantee they will love this jelly. Pour the beer in a large kettle and add cinnamon sticks. Let set out uncovered for 2-3 hours or until the beer is flat. Fill your canner with water and start heating it for the water bath.Add the apple cider to the beer mixture. Over medium heat, whisk in the pectin and bring to a boil. Add the sugar and stir constantly to incorporate. Bring to a rolling boil and boil for 1 minute. Remove from heat. Discard cinnamon sticks. Ladle into sterilized jars and top with lids and rings. Process in a boiling water bath for 5 minutes. Remove and let cool. 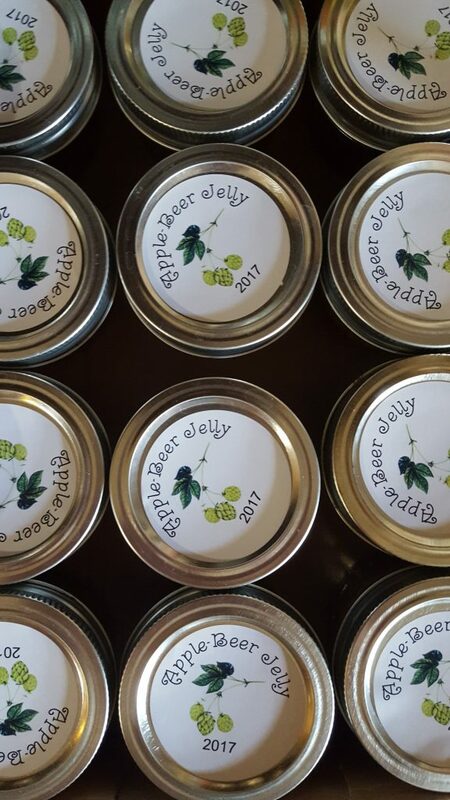 Listen for the pops to ensure your jars are sealed. 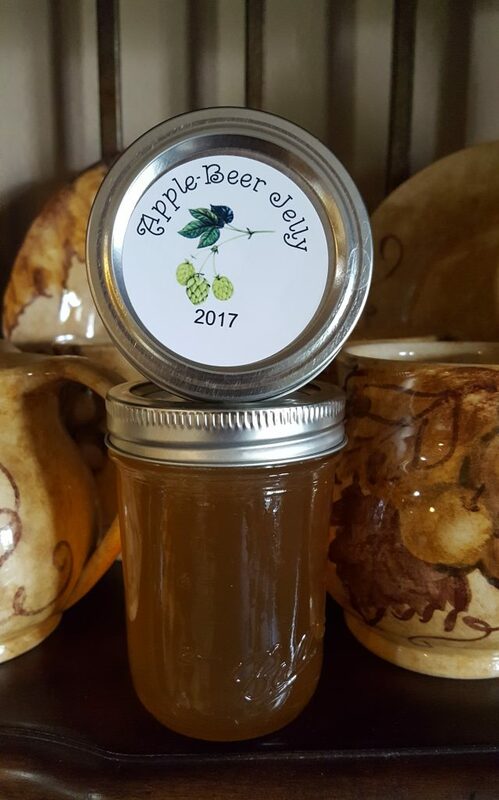 I actually did make this jelly this past summer and I used a Blue Moon Honey Wheat Beer (allegedly a limited run summer batch). I referenced this jelly all the way back in July when I was on a jelly and jam making kick. Winter or summer or spring or fall, this jelly is delicious. Wrap it up for a gift. Don’t shy away from this if you’re not a beer lover. The apple and spice come through. Really, if you need an unusual and quick gift, make a batch. I’ve never heard of beer jelly! Sounds like a winner, though. Wonderful if I could do a cocktail jelly? 🙂 Fun post — thanks. I had seen some for sale in catalogs for unique gifts and was thrilled when I ran across this recipe! I’m always hunting for edible gifts for my friends. I think your beer jelly would do the trick! I hope you try it and your friends love it! I want to try it again and use maybe cranberry or another juice with maybe a flavored wheat beer. Apple and beer…I would have never thought of combining these two in a jelly…Now I am really intrigued! Really, it’s more apple-flavored than beer. At least with the beer I used. Looking forward to the 2017 holiday plans. Beer jelly, what? Never heard of it but I WANT NOW lol! Thanks, Evelyne! Whip up a batch. Yes I’m thinking about why I didn’t do any canning last Summer! I love this idea and I must give it a try.